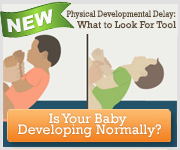 Watching your baby learn to crawl and move independently can be a truly memorable time. 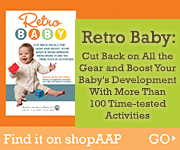 Take advantage of this brief period; before you know it, your little one will be pulling up, standing, and walking. Not every infant crawls in the traditional manner. Classic hands-and-knees or cross crawl. The infant bears weight on her hands and knees, then moves one arm and the opposite knee forward at the same time. Bear crawl. It looks like the classic crawl, but the infant keeps her elbows and knees straight, walking on hands and feet like a bear. Belly or commando crawl. The infant moves her body forward while dragging her belly against the floor. Bottom scooter. The infant scoots around on her bottom using her arms to move herself forward. Crab crawl. The infant moves backward or sideways like a crab, propelling herself with her hands. Rolling crawl. The infant gets to her destination by rolling from one place to another. Exploration and experiences affect a child’s earliest learning, which shows why it’s important for parents to encourage the development of their child’s motor skills. Tummy time provides a foundation for the skill of crawling. Floor time and crawling play an important role in your child’s development!